After my rant about longer books I’m now unashamedly plugging one that runs to 400 pages. Earlier in the year I reviewed Linda, As in the Linda Murder featuring the wonderful creation, Evert Backstrom. Racist, sexist and work-shy, he is the policeman you don’t want on your team. Yet, in a pattern familiar with those of us who have worked in large organisations, he is shuffled around the Stockholm police and given glowing references by those desperate to get rid of him. 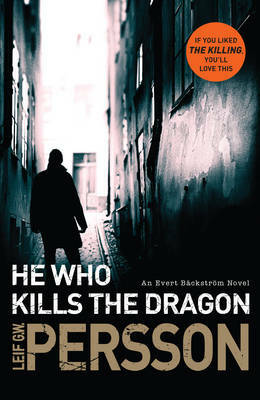 In He Who Kills the Dragon, Backstrom is initially in disgrace, languishing in the property-tracing department and his service weapon removed. However, Anna Holt, the new head of the Western District is asked to have Backstrom as a superintendent in her team to assuage the concerns of the police union who have taken up his grievances. His first case in the new team is to solve the murder of an alcoholic found dead in his flat by a delivery boy who subsequently disappears. Backstrom approaches the case with his usual attitude, a mixture of gung-ho optimism and sly manoeuvring, and astounds his bosses by occasionally hitting the mark. It is only when he is in danger of becoming a national hero do they feel compelled to act. Given that I found one of Persson’s earlier books, Another Time, Another Life, so difficult to get through I was convinced that Linda, As in the Linda Murder was a one-off delight. However, He Who Kills the Dragon, is perhaps an even better book and it is certainly funnier. Backstrom is the same as ever, except he now has a world weariness about the state of the Swedish police and, in particular, the sexual proclivities of some of his colleagues. 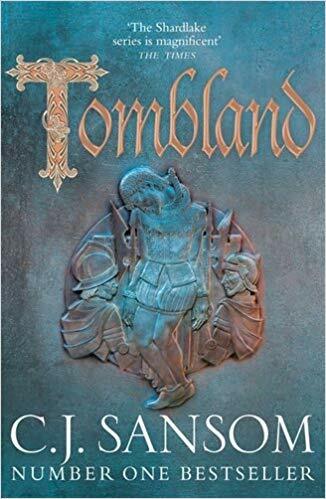 I found Backstrom in this book to be a more complex character and his motives are often difficult to discern. He surprises his bosses by his reticence in front of the national press and seems genuinely shocked by the corruption of one of his colleagues. The book must have been a delight to write with such an engaging anti-hero and I’m already looking forward to the next Backstrom instalment. Thanks to Transworld for my copy. The translation, excellent as ever, was by Neil Smith. Sarah – So good to hear this one lives up to the high standard of Linda…. And I’m glad to hear that there’s a solid sense of wit in this one. Definitely I must catch up on this series! Thanks Margot. And I’d love to hear what you think of this series. Definitely an author I will be reading, hopefully in 2014. Glad to hear that you liked this one. I know how you feel about long books but Persson is someone I’ll make an exception for! Hi Claire – thanks for stopping by and commenting. So nice to have another Scandi crime fan on here. I think this book could easily be read as a standalone and as much as I like Linda… I would give this one a go first. How lovely that you are now in Stockholm. I haven’t been there for a few years.